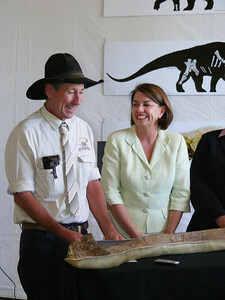 3 July 2009. 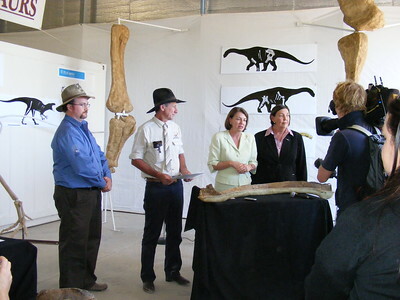 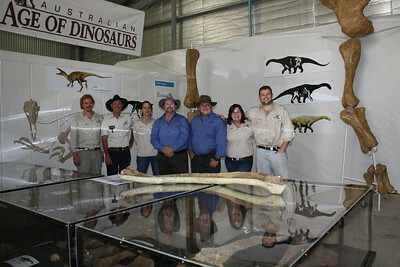 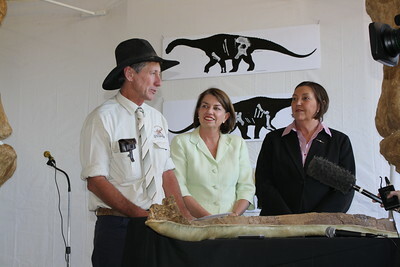 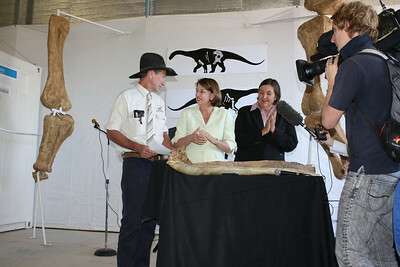 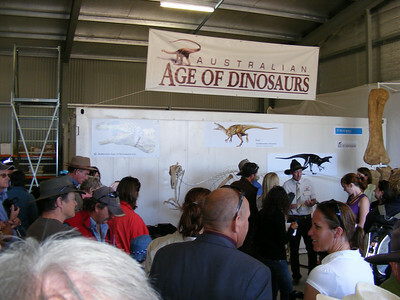 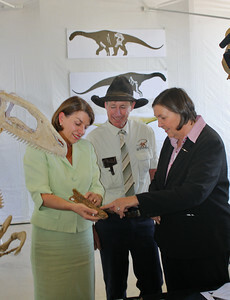 Scenes from the official opening of stage 1 of the Australian Age of Dinosaurs Museum of Natural History. 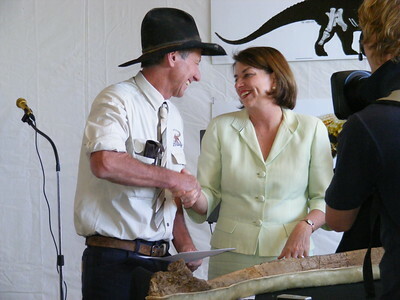 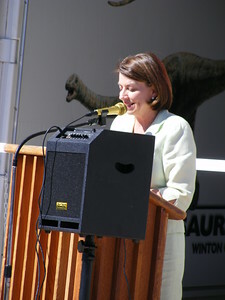 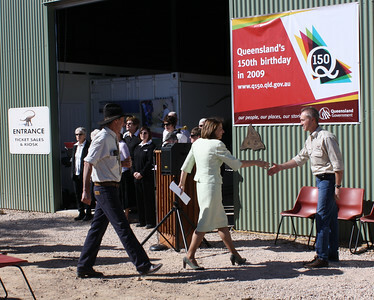 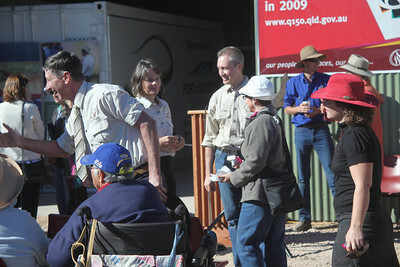 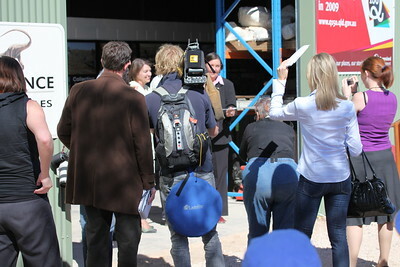 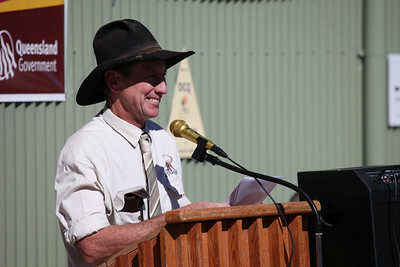 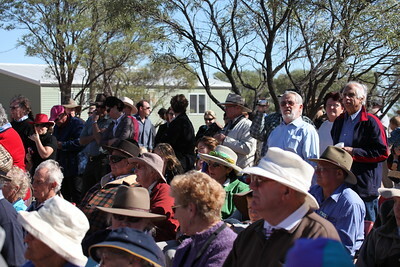 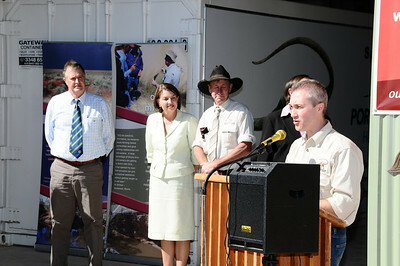 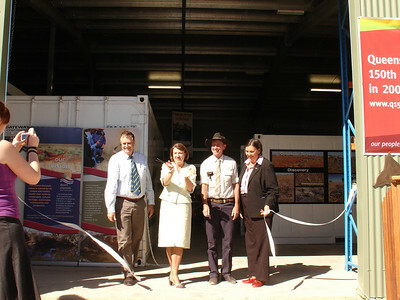 State Premier Anna Bligh opened the museum to a crowd of over 400 people. 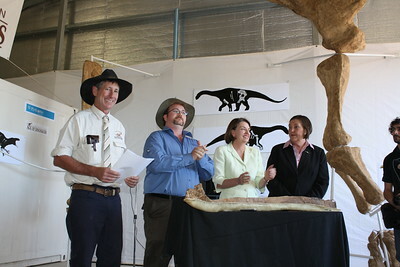 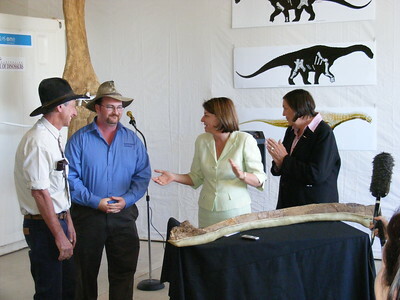 After the ribbon-cutting ceremony, three new dinosaur species were announced; Australovenator wintonensis ("Banjo"), Diamantinasaurus matildae ("Matilda") and Wintonotitan wattsi ("Clancy"). 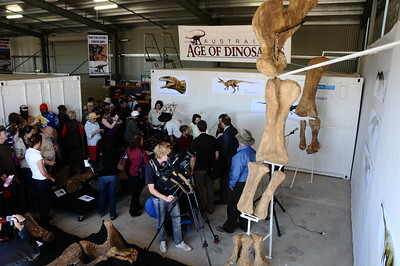 Media coverage of the event was broadcast round the world.